Ezme recipes and preperation . 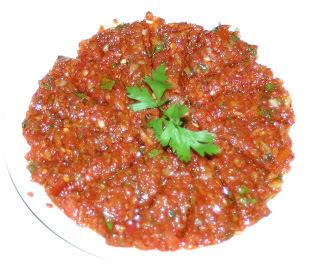 Crushed tomato salad is another name of this food. Its a meze from Turkey cuisines. 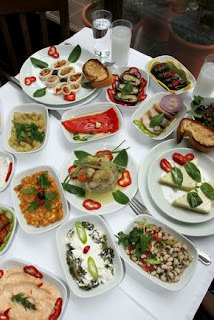 Very nice and good looking delicious tradational Turkish food. Firstly peel the tomatoes and the cucumber then remove the stalk and seeds of the pepper. After remove the outer layer of the spring onions and then chop them up very small, without actually pulverising them. Add all the other ingredients. Mix well. 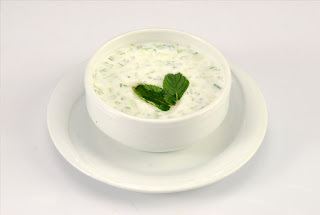 Bone Apettide..
Turkish Karni yarik recipes. Its preparation and recipes. Karni yarik is really delicious meat meal and it has high calorie..
Cut tail eggplant. Leaving the peel strips of skin 2 cm wide. Prepare the pan, heat the oil. 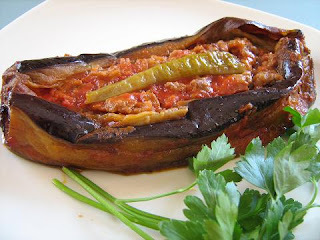 Brown eggplant split on one side. Withdraw them. The store on a serving platter. Pan rid of the remaining oil. Put butter. Add meat, onions grate after salt and pepper, bring back all for 3 minutes, then grate on the 3 whole tomatoes, cook 3 minutes more. Add parsley. Place the stuffing in the slot eggplant, very carefully. Set tidy each 1 tomato and 1 green pepper. Cook the units for 15 minutes without cover by adding 2 glasses of water. Serve hot Karni yarik. The "meze" of Turkish origin, is a magic word that expresses this rafinnement culture of different peoples around the eastern Mediterranean and Aegean. The "meze" is the name of those wonderful dishes that used in the temples of Dyonisos, which formed safe and enjoyable progressive intellectuals of all time. 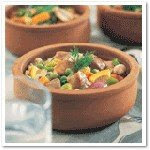 These are dishes that can be served in, or to establish a full meal. They are presented in small quantities but because of their variety, they create an atmosphere of abundance and riches on the table, because they cover the full. They wonder to accompany the "raki" or wine. 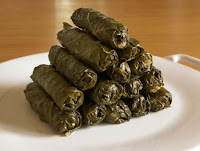 Cut the tails of vine leaves, boil them in plenty of water soaked a little lemon juice for 5 minutes. The removal of water, drain and let cool slightly. Heat oil in saucepan over high heat. Y lay the chopped onions. Stir with a spoon until the onions are slightly browned. Add the mint, Suvre, lemon juice, pine nuts, raisins currants and salt. Stir all still 2 or 3 times and then add the grated tomatoes. Bringing back all and add the rice thoroughly washed. Stir vigorously so that the stuffing is homogeneous. Pour 2 cups boiling water. Close casserole, moderate heat and cook the stuffing in 1 / 4 hour. Empty the pan into the bowl and let the stuffing cool. Garnish the bottom of the pan with leaves strongest and most nerve. Spread a sheet of vines on the serving platter in the middle of this sheet put a tablespoon of the stuffing, wrap it intelligently. Here the know-how very much. Dolma store in the pan. Add water to the edge of the container. Close the container. On a medium heat 20 minutes of cooking can give a good result. It is this "Dolma" cold. Preparing: First cook the beef in a medium sized pot with 1 cup water on medium-low heat. Second add the butter, olive oil, onion, garlic, salt and pepper. third cook for about 10 minutes, stirring occasionally. Fourth add the tomato paste, mushrooms and another cup water. Put the lid on and cook for another half hour on medium-low heat. serving with rice can be great. This is very special and delicious salad type of Turkey. 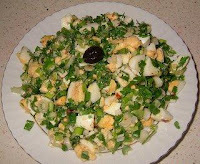 Very positive effects on the human body and Egg salads can be helpful for your weight control program. Firstly cut each egg lenghtwise then slice them all. Mix eggs, chopped parsley and fresh mint. In another bowl, mix julienne cut onions, salt, pepper, cumin, and sumac. Then add onion mixture to the egg salad. Drizzle olive oil on top of salad and serve cold. good apettide. Directions: Cut into crescent-shaped pieces onions and saute in hot butter or olive oil in a saucepan until reddish then add flour to saucepan while stirring. Mix bouillon cubes in water and drop to saucepan. Add salt and bring to a boil while stirring. Turn heat to low and simmer for 45 minutes. Turn off heat . Beat egg yolks and milk together and blend into soup. 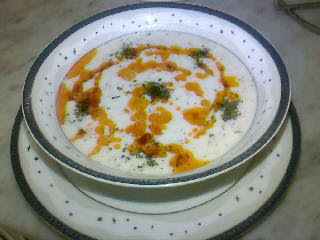 sprinkle grated cheese on top pf soup. 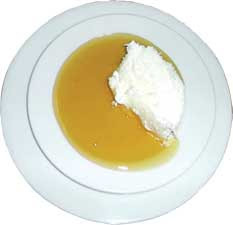 Turkish popular creamy food is Kaymak or also called kajmak . Itis a creamy dairy product, similar to clotted cream, made originally in Turkey. It is made from the milk. Kaymak recipe : simple and easy method of making kaymak is to boil the milk slowly, then simmer it for two hours over a very low heat. After the heat source is shut off, the cream is skimmed and left to chill for several hours or days. Kaymak has a high percentage of milk fat, typically about 60% and has really high calorie value. It is serve with honey generally. Kaymak and honey are best couple of the breakfast tables in Turkey. firstly wash the rice in lots of water. Secondly In a pot add stock and rice and boil on medium fire. when your rice is very well cooked thirdly Separately beat the egg and add flour then make sure you blend your flour properly. Add 1/2 cup water and the yogurt. Add to the boiling mixture, set fire to minimum then continue cooking and mixing. When the mixture is to boil, take away it from stove. Afterthat separately fry some hot pepper in olive oil then add peppermint, after a few minutes without over friying drop it with the soup. Good Appettide. Chop the onion finely. Cut a cross in the top of the tomatoes and remove the skins. Then cut the tomatoes into small pieces. Later cut peppers into very small rings. Heat the oil. 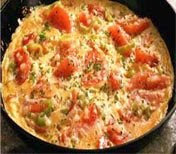 Sautee the onion until soft, then add peppers and tomatoes and fry for another 2 to 3 minutes. Beat the eggs with salt and pepper . Pour mixture over vegetables. Keep stirring with a fork until set.